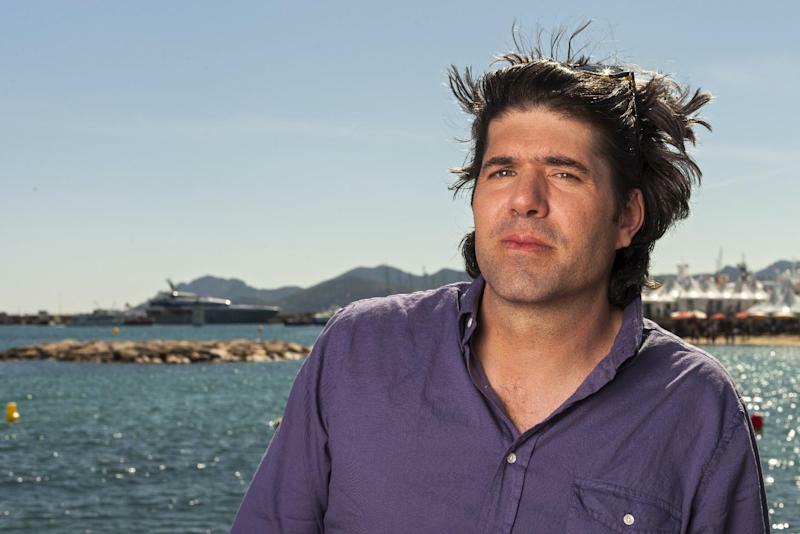 CANNES, France (AP) — J.C. Chandor may just have saved someone's life during an interview in Cannes. The director who put Robert Redford in a struggle for survival as a capsized sailor in "All Is Lost" is talking about mortality when a gust of wind lifts a large beach umbrella from its base and sends it and its heavy metal pole sailing straight toward a publicist sitting nearby. Chandor snatches the projectile from the air just in time, to gasps from onlookers. The garrulous American director shrugs off the feat — "I have good eyes" — before resuming his flow of words about life, death and putting a screen icon through the emotional and physical wringer. "This guy is essentially me in a weird way," he said of the film's central — and sole — character. "Someone asked me if it's about my dad dying — my dad's still alive. It's about me dying. These are my feelings about this." "All Is Lost" is writer-director Chandor's second feature, after Academy Award-nominated Wall St. drama "Margin Call." You can't accuse him of opting for an easy project. Redford plays a sailor whose yacht is damaged in a collision with a shipping container in the middle of the Indian Ocean. The film follows him over eight days as he tries, first, to repair his boat and sail on, then simply to survive in increasingly perilous conditions. The cast consists of Redford and the elements, the set is the claustrophobic confines of a small boat on the open sea. And there is no dialogue. Apart from a few lines of voiceover at the start and an emphatic expletive, it's a wordless film. "There was certainly some ego" involved in that decision, Chandor said. "It seemed like a difficult and yet exciting thing to do." "I felt I could make a very, very compelling, dramatic, thrilling — hopefully — film, but then by the third act you have this very intense emotional experience about a guy essentially coming to grips with his own mortality right in front of your eyes," he said. "It came to me that the best way to do that was just to have the audience experience what he was going through, so it was shot in a way that you were literally with him." 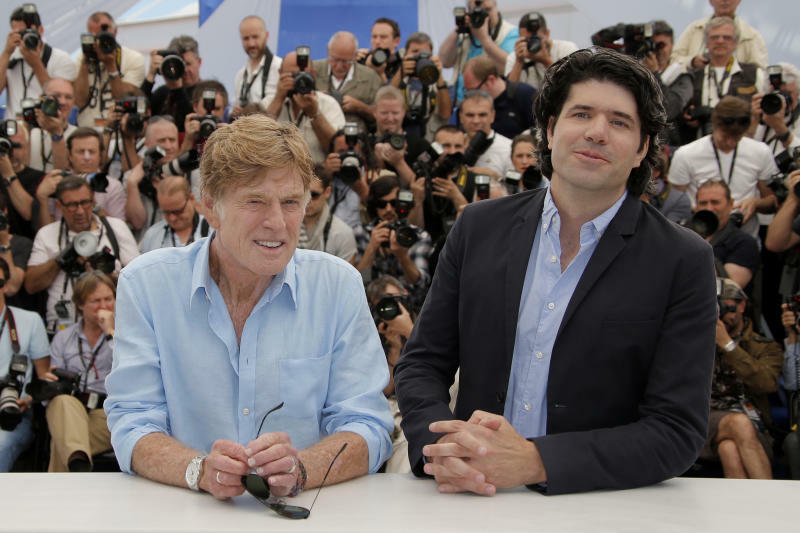 Redford is key to the success of Chandor's old-man-and-the sea story. The 76-year-old actor's famous, weather-beaten face and aging but muscular physique help give the movie its compelling intensity. Chandor met the star when "Margin Call" was selected for Redford's Sundance Film Festival in 2011. He later sent Redford the "All Is Lost" script, and was surprised when the actor called back within a few days to set up a meeting. "He said, 'I just wanted to make sure you weren't totally crazy. This thing is a little out there, but let's do it.'" Redford told reporters this week that making the film — "to have an experience where I could give myself over completely to a director" — was a thrill. Chandor thinks he can see why. "When an actor has been working for 40 years, and if you love movies he has so much baggage, that it's almost hard for him at this point to take on a fresh role, because we have all these other ideas and his voice is so specific," said Chandor — who skirted that obstacle by silencing the voice. "There was something visceral in him wanting to do this material," the director said. "He just came and gave himself to it fully. It was an amazing experience." "All Is Lost" is screening out of competition at the Cannes festival, which ends Sunday. Audiences and critics have been enthusiastic. Trade paper Variety called it "that mainstream-movie rarity: a virtually wordless film that speaks with grave eloquence and simplicity about the human condition." The Guardian newspaper said Redford "delivers a tour de force performance," and the actor got a long standing ovation at the film's premiere. Chandor has had a dramatic career breakthrough in the past couple of years. He spent years directing commercials before making "Margin Call." There has been a lot of griping about the state of the film industry at this festival, but you won't hear any of it from Chandor. "You can make any movie you want in the world right now — but you can't make it for $40 million," he said. ("All Is Lost" cost $8.5 million). "Every person on this pier has the means in their hand of making a movie of some sort, and ... for the first time in the history of humanity there's a distribution channel to get that art out there. All it comes down to is that there is a budget for every movie. "Do I think we need to support the distribution challenge to get these out into the world? Of course. Do I think Hollywood is making the same stupid movie over and over again? Abso-freaking-lutely. "But to say you can't make a movie that you want today to me seems absurd. I could make a movie my whole career — I just didn't have any stories worth telling."